Yemen: Forced into an early marriage at the age of 11 and divorced only three weeks after, the first female Yemeni film producer Khadija Al Salami continues to expose different angles of women’s suffering in Yemen 30 years later through her compelling documentaries. Holding a talk at the American University of Dubai’s (AUD) Mohammad Bin Rashid School for Communication last week, Al Salami screened and discussed one of her most moving documentaries A Stranger in her own City, which tells the story of a little girl who fought for her freedom before being oppressed by society’s traditions. The documentary follows 13-year-old Najmia who lives with her parents and younger sister in the Old Sanaa Town. Najmia had become well-known around the old city for her courage and opinions and was also looked at as a disgrace and as a rebel within the community. Fighting to defy society’s traditions, Najmia eventually lost the battle as her father forced her to wear the veil and stop attending school only seven months after shooting the documentary. Still, despite her tough luck, Najmia touched many other girls in her country who craved change including film producer Khadija Al Salami. While her personality and experience differed from Najimia’s, Al Salami related to the little girl’s determination to stand up to what she thought was wrong around her. “She is the aggressive part of me who would go and fight. I was a shy girl when I was her age, I wouldn’t speak up but I called for action,” said Al Salami. The documentary received an award at the Berlin Film Festival only a year after being filmed. After her devastating experience at the age of 11, Al Salami was condemned by her whole family with the exception of her mum. During her short-lived marriage, Al Salami refused to give in to a life she had not chosen for herself. “I even tried to commit suicide at one point,” she explained. After filing for divorce with the help of her mum only three weeks after she was married, her courage to rid herself from her misfortune led her family to disown both her and her mum. Once divorced, Al Salami started working in a TV station after school. “I realised that through images you can affect people and tell a story, so I wanted to tell the story of women who were having a hard time in their lives because I was one of them,” said Al Salami. After finishing school, Al Salami was given a scholarship to continue her education in America. 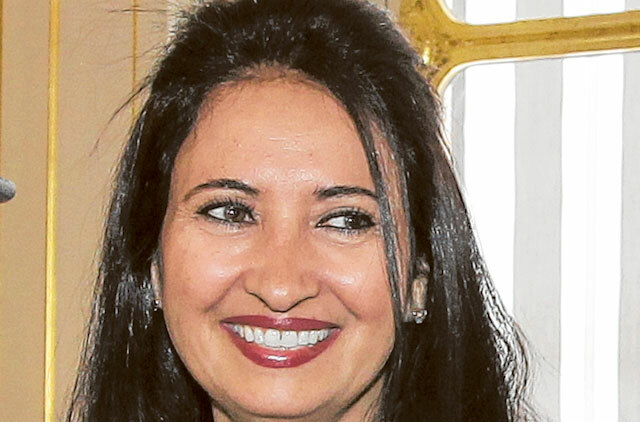 With a Bachelor and Masters degree in Communication and Film Making, Al Salami now resides in Paris where she became a diplomat and worked at the Yemen Embassy as the Press and Cultural Attaché for 15 years. She is currently a full-time film producer. Al Salami who once shared the same difficulties many other women are continuing to experience said she never forgot the pain. “I know how hard it is to be a woman in Yemen and express yourself without fear and really say what you think,” she added. With the aim of helping girls who don’t have access to education in Yemen, Al Salami started an educational foundation called ‘Mustakbali’ (My Future) three years ago in Sanaa. Over 250 girls are currently part of the project, as the foundation covers their schools fees, uniform and book expenses. “We also have summer events and activities teaching the girls and their mothers about the importance of education and health,” said Al Salami. Continuing to make more films, and having produced 24 films in total, Al Salami is currently working on two projects. “One is about a woman who was accused to be in a haven because of her articles and another project which is a fictional film on early marriage,” she said. With her films being considered controversial, Yemeni local TV channels have refused to air all her women-based documentaries. The film maker however said she will continue trying to make small bursts of change through her work despite the challenges. “With satellite TV, my films have been shown on many channels so Yemenis can watch them and discuss them,” she added. Among her best works is the famous documentary ‘The Tears of Sheba’ which is based on her experiences growing up, her 2006 documentary ‘Amina’, which tells the story of a child bride who was sentenced to death after being found guilty by the court for murdering her husband, and ‘The Scream’ (Al Sarkha) which was premiered in the 9th Dubai Film Festival 2012.